Our office strives to achieve the highest standard of patient care in a compassionate and individualized manner. As a primary health care provider our doctor will thoroughly examine, diagnose, and provide management options for many types of ocular disorders, in addition to providing prescriptions for spectacles and fitting contact lenses of all types. At the conclusion of your exam you can expect our doctor to discuss the results of any ocular findings and provide appropriate recommendations for prescription eyewear or contact lenses and a schedule for any follow up care necessary. Our highly trained and knowledgeable staff will help guide you in frame selection that will compliment your features and enhance your quality of life with Personal Service and Professional Guidance in your eyewear selection process. Please send us an email (info@doyleopticians.com) if you would like us to call you and schedule an appointment. You shouldn’t wait until you have difficulty seeing before you consider having your vision checked. Routine eye exams are important, no matter what your age or health. During your comprehensive eye exam our doctor does much more than figure out what your prescription should be. Your eyes will also be checked for common eye diseases. Did you know that your eyes can also tell the doctor how healthy you are? Adults should have their eyes tested annual to keep their prescriptions up to date. Regular eye exams also make it possible to catch eye disease early. Children have different testing requirements, which you can learn about on our children’s page. If this is your first visit to Doyle Opticians for an eye health examination or contact lens fitting, the first thing to expect are questions about your history, including previous vision examinations and general health questions and current medication, and use and wearing of both eyeglasses and contact lenses. 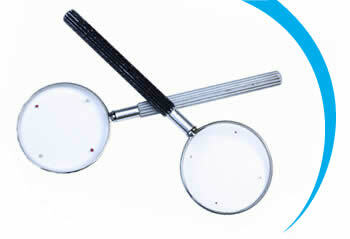 Additionally, your visit will include determining what your eyeglass and or contact lens prescription that is needed. Our optometrist will also be thoroughly looking at your overall eye health for any abnormalities or eye disease. Annual eye exams are vital to maintaining your vision and overall health. Doyle Opticians offers the optomap® Retinal Exam as an important part of our eye exams. The optomap® Retinal Exam produces an image that is as unique as you fingerprint and provides our doctor with a wide view to look at the health of your retina. The retina is the part of your eye that captures the image of what you are looking at, similar to film in a camera. Many eye problems can develop without you knowing. You may not even notice any change in your sight. But, diseases such as macular degeneration, glaucoma, conditions such as retinal tears or detachments, and other health problems such as diabetes and high blood pressure can be seen with a thorough exam of the retina. A permanent record for your file, which allows our doctor to view your images each year to look for changes. Is tested to see how clearly each eye can see. The results of this test are generally written as a fraction such as 20/40. The top number of the fraction is the standard distance of the test, twenty feet. The bottom number is the smallest letter size that can be read. This means that a person with 20/40 vision cannot read a letter that people with normal vision can read at 40 feet unless they are 20 feet away. Is used to choose the right lens power needed to correct nearsightedness, farsightedness, and astigmatism or for the use of multifocals (bifocals, trifocals or progressives). Using an instrument that contains a series of lenses, the optometrist measures how they focus light. After this process, the patient’s responses to lens choices narrow down the right correction needed. Is the process of using eye drops to keep the pupil of the eye open, even in bright light. This process allows the optometrist to see all the way into the back of the eye, where the retina, optic nerve and important blood vessels are located. Not only are vision issues discovered during this process, but other general health issues such as hypertension may be noticed as well.